What Are Five Ways Bacteria Can Be Harmful? Enteric bacteria naturally live in the intestines of animals and humans. However, there are some types of bacteria that reside in intestinal tracts of animals that can cause disease and harsh reactions when humans become infected with them. They can cause a mild infection, such as a simple case of food poisoning, or they can cause severe community-wide infections and lead to plagues. There are many different types of salmonellae bacteria. A report from the University of South Florida states that salmonella is infectious to humans, and can cause disease among humans and animals. Salmonella bacteria is reported to be the No. 1 cause of food poisoning in humans. It is usually transmitted from birds, chickens, wild rodents and reptiles. Escherichia coli, also known as E. coli, is normally found inhabiting the intestinal tract of humans and animals. The Centers for Disease Control and Prevention report that most types of E. coli are not harmful. There are some, however, that can cause serious illness. These strands of E. coli are also known as Enterotoxigenic Escherichia coli, or ETEC. ETEC produce toxins that cause the lining of the intestines to produce and release excessive fluid, which causes diarrhea. is the name given to a group of E. coli that produce special toxins that stimulate the lining of the intestines, causing them to secrete excessive fluid, thus producing diarrhea. High-risk foods that can have ETEC on them are raw fruits, raw fish and meats, raw dairy products and untreated water. Campylobacter jejuni is a bacteria that causes an infectious disease known as campylobacteriosis. If you are infected with campylobacteriosis, the CDC reports that you will more than likely experience diarrhea, abdominal pain, cramping and fever within two to five days after you have been exposed to the bacteria. In some instances, it can spread to the bloodstream and become very serious. Infection can come from contaminated meat, milk, water, or contact with infected animal stool. Shigella is a bacteria that is found in tropical climates. According to a report from the University of California, it rarely affects humans, but if you are traveling through a tropical area there is a risk of contact. 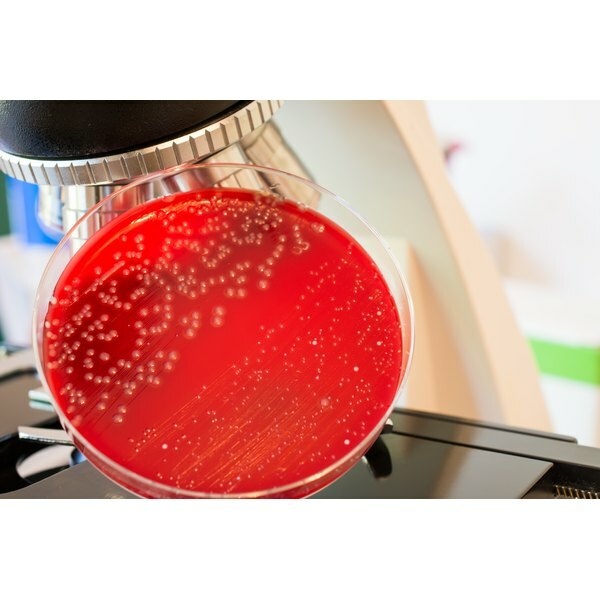 Shigella does appear in the United States, however, with the CDC reporting that there is an average of 14,000 cases reported each year. Shigellosis is a bacterial infection caused by exposure to the shigella bacteria, and it comes with symptoms of bloody diarrhea, fever and abdominal cramps within 24 to 48 hours of infection. The bacteria is passed from human to human, or it can be caught from exposure to contaminated water, sewage or feces.